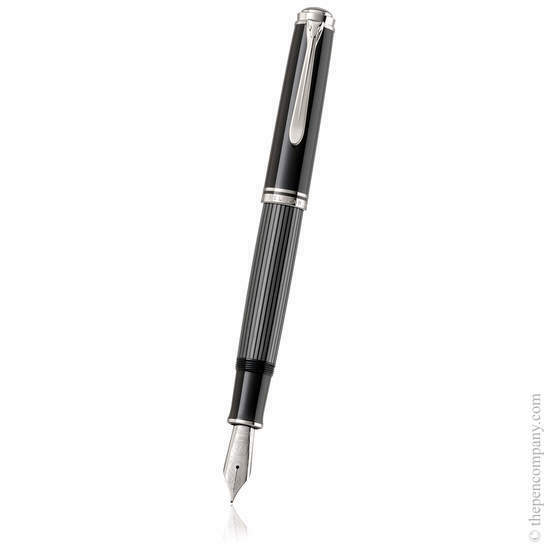 The Pelikan Souverän 1005 offers a palladium-plated silver variation to the globally revered Souverän 1000 range. The distinctive grey and black striped finish is known as the 'Stresemann', named after the stylish anthracite pinstripe suits of the Nobel Peace Prize winning foreign minister, Gustav Stresemann. The resin cap features characteristic double rings precisely integrated to present a seamless transition between materials. The glossy barrels are complemented to great effect by palladium-plated silver metal accents. 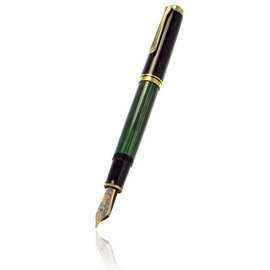 The clip of the Pelikan represents a beak, offering yet another unique characteristic to this historic manufacturer, who hold one of the oldest trademarks in Germany. 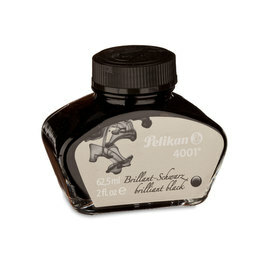 Pelikan especially pride themselves on their expertise in creating nibs, inks and feeds; their mastery over these essential components enables them to create fine-writing instruments of the highest quality. 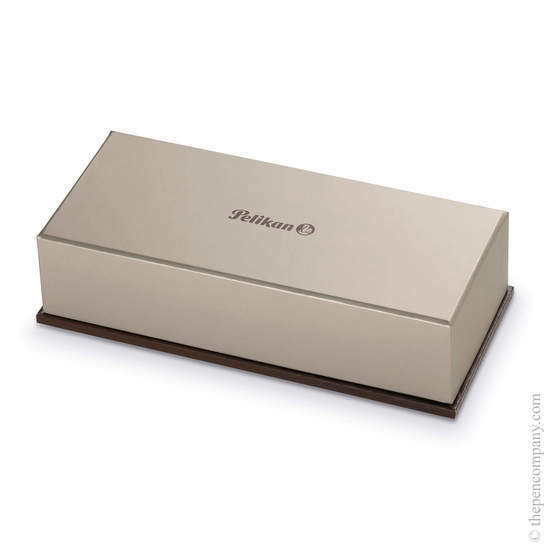 The 1005 is available in 4 nib widths. 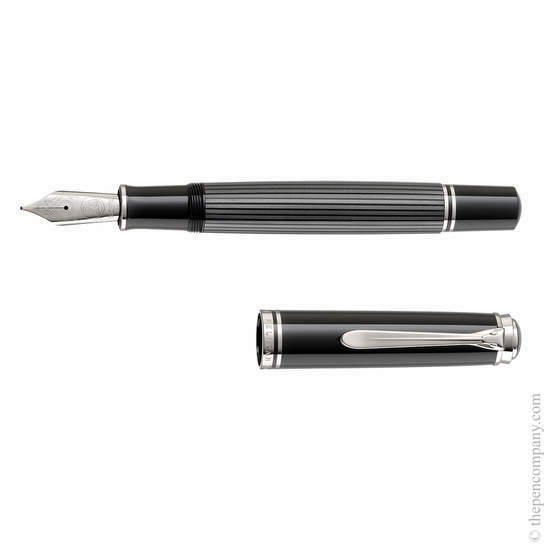 The Souverän M1005 fountain pen features an 18-carat rhodium-plated gold nib which is hand written-in before leaving the factory. 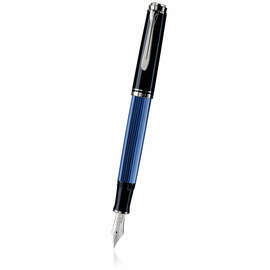 The differential piston fill mechanism is constructed from brass and the pen features an ink view window. 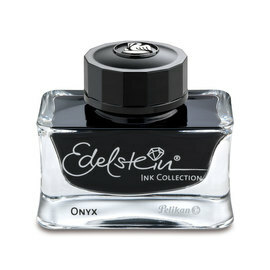 Available in four nib widths: EF, F, M, B. Also accepts standard ink cartridges.